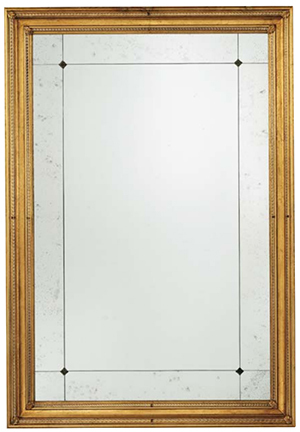 A MIRROR is an object that reflects light in a way that preserves much of its original quality subsequent to its contact with the mirror. Some mirrors also filter out some wavelengths, while preserving other wavelengths in the reflection. This is different from other light-reflecting objects that do not preserve much of the original wave signal other than color and diffuse reflected light. 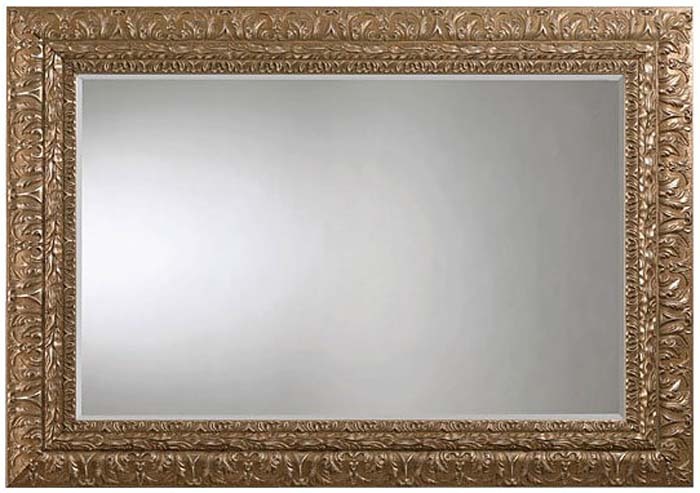 The most familiar type of mirror is the plane mirror, which has a flat surface. 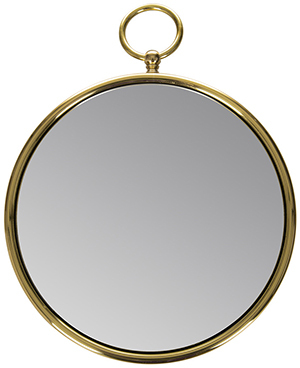 Curved mirrors are also used, to produce magnified or diminished images or focus light or simply distort the reflected image. 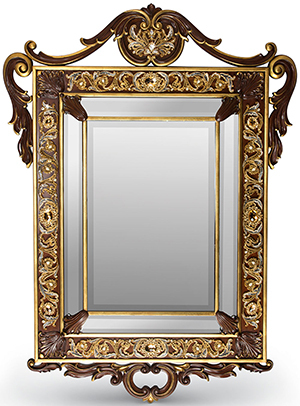 Mirrors are commonly used for personal grooming or admiring oneself (in which case the archaic term looking-glass is sometimes still used, decoration, and architecture. 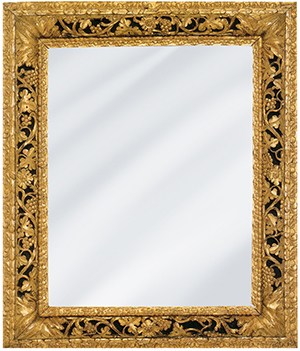 Mirrors are also used in scientific apparatus such as telescopes and lasers, cameras, and industrial machinery. Most mirrors are designed for visible light; however, mirrors designed for other types of waves or other wavelengths of electromagnetic radiation are also used, especially in non-optical instruments. 12,951 Contemporary bathroom mirrors - houzz. 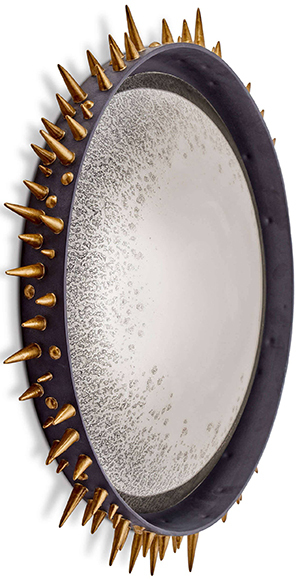 30,380 Mirrors - "Incorporating mirrors into your decor can make a big difference in the overall atmosphere of your home. 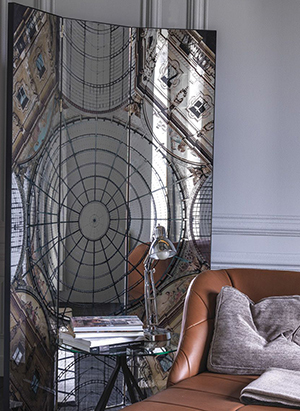 When used correctly, mirrors can add light to a room, create the illusion of space or simply add an extra decorative element." Houzz. 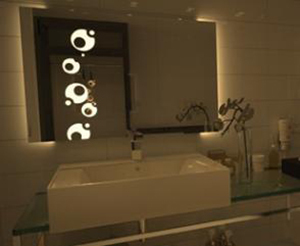 Philips Hue expands to the bathroom with a connected light-up mirror - "Bring your bathroom mirror into your smart home setup." The first smart mirror you can actually buy focuses on your flaws - Daily photos of your face are meant to flag problems with your skin. 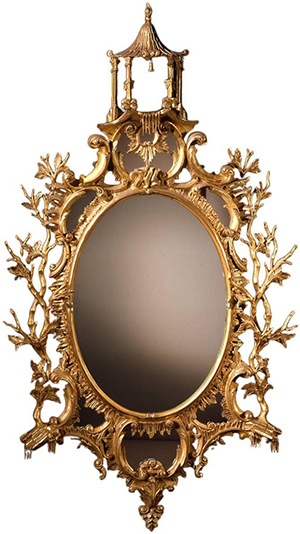 Verre ÉglomisÉ - from the French term meaning glass gilded, is a process in which the back side of glass is gilded with gold or metal leaf. 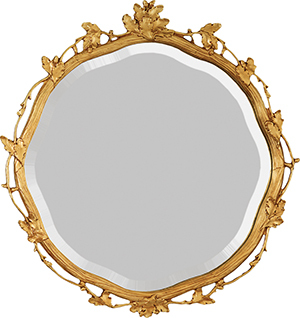 1stdibs - antique & vintage mirrors. Amara - "Life - Style - Living." 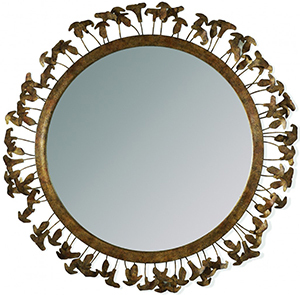 Mirrored trays, round wall mirrors, copper mirrors, small wall mirrors & brass wall mirrors. 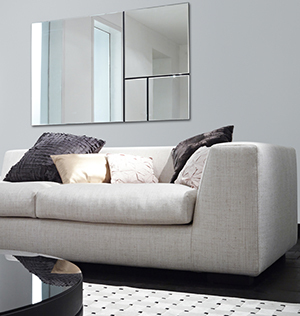 Artemest - all brands & models. 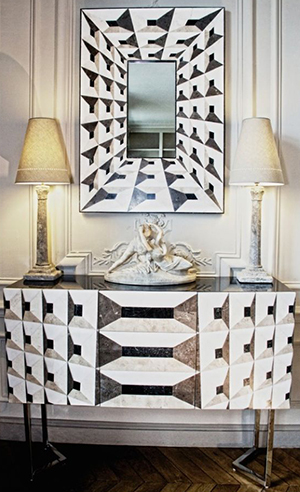 boca do lobo - "Exclusive Design." All models. 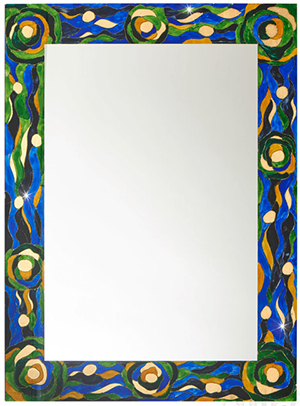 Deknudt Mirrors - "Passion for mirror." All mirrors. 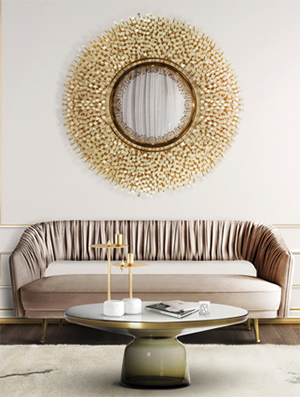 Donghia - since 1959. "American design at its best." All models. 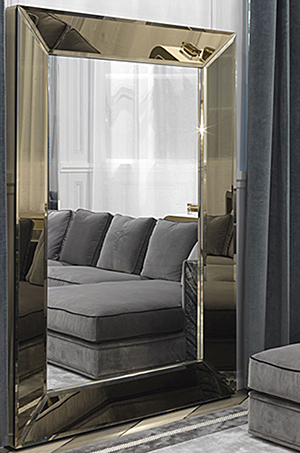 Driade - "Modern full length, floor and wall mirrors." Fornasetti - "Italian decorative arts company." All models. Friedman Brothers - "Decorative Arts Since 1903." 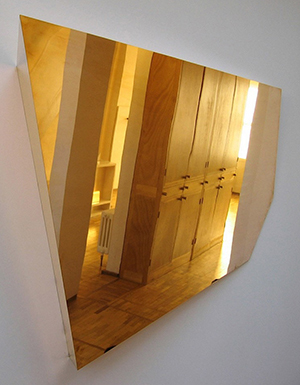 Decorative mirrors. 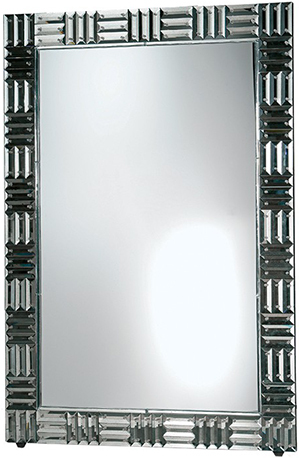 Horchow - wall mirrors, decorative mirrors & floor mirrors. 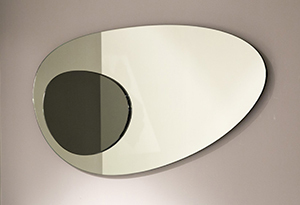 JONATHAN ADLER - "Modern Wall & Vanity Mirrors." Kolarz - since 1918. All models. Lalique - French glass designer noted for his work in the Art Deco style. Linley - since 1985. 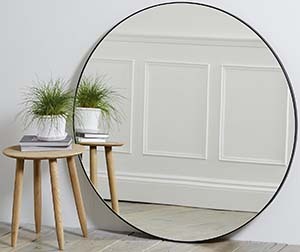 "From traditional designs to suit a country cottage or townhouse to contemporary looks for the modern home, shop the LINLEY range of luxury wooden mirrors." L'Objet - since 2004. All models. LuxDeco - since 2012. 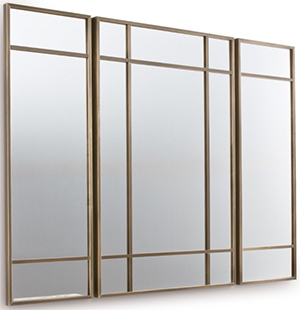 "Luxury Modern Mirrors, Designer Floor & Wall Mirrors." All models. Natuzzi - Italy's largest furniture house founded in 1959. All models. 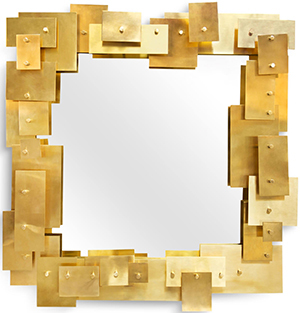 Neiman Marcus - "Wall Mirrors, Decorative Mirrors & Floor Mirrors." 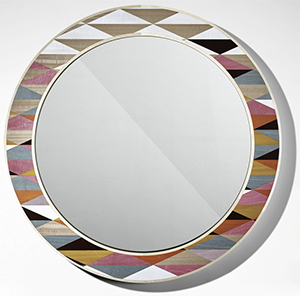 Nella Vetrina - Italian designer mirrors. Nicholas Haslam Ltd - established in 1980. 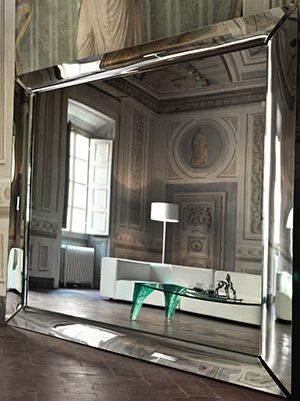 Of Interni - "Luxury Italian Venetian Mirrors." 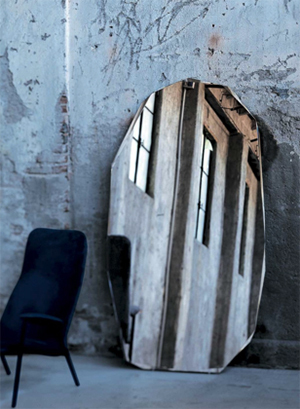 Philippe Starck - Caadre Mirror. 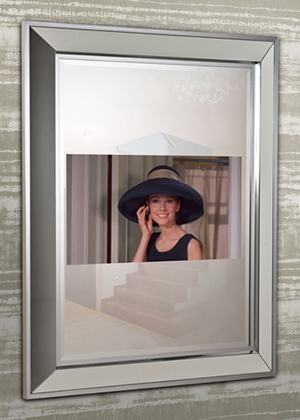 Full-length mirror designed to stand on the floor & lean stylishly back against the wall. Phillips Collection - all models. Porada - since 1968. All models. Porta Romana - since 1988. "Made In Britain, synonymous with unique design and artisanal craftsmanship. Destined for the world's most beautiful interiors." 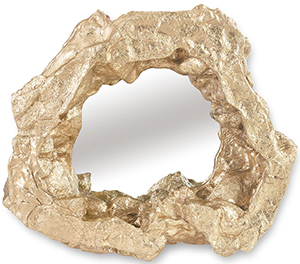 Richard Rothstein - "Formal Mirrors & Traditional Mirrors." 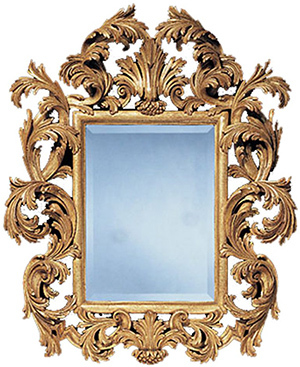 These mirrors are found in the finest homes and hotels, in the White House and in the Vatican." Rue Monsieur Paris - since 2012. "French luxury furniture company." 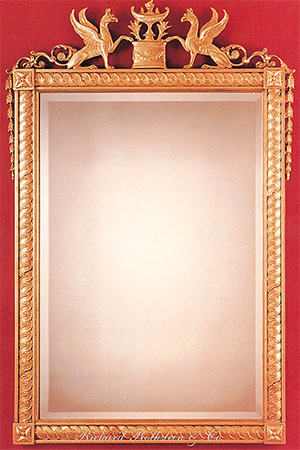 Mirror frames. Saint-Gobain - founded in 1665 in Paris. Kitchen & bathrooms mirrors. Simpsons - since 1976. 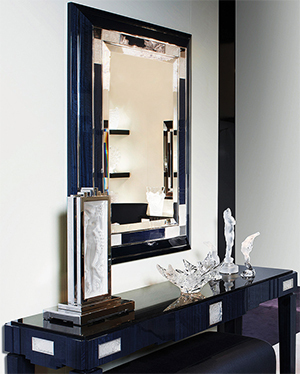 "Luxury Bespoke Mirrors." 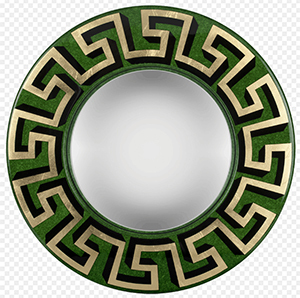 Round & oval, square & rectangular, hexagonal, octagonal & diamond, dressing table mirrors & TV mirrors. The Future Perfect - since 2003. "One of the world’s foremost contemporary design galleries." All models. The White Company London - since 1993. "Everything you need for stylish living - mainly in white." 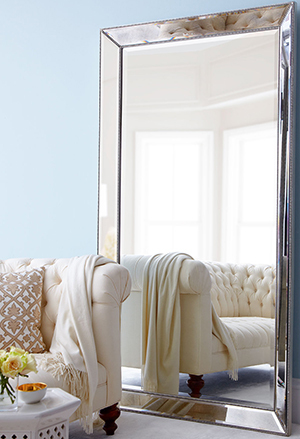 Create the illusion of more light and space with our hanging and free-standing mirrors. 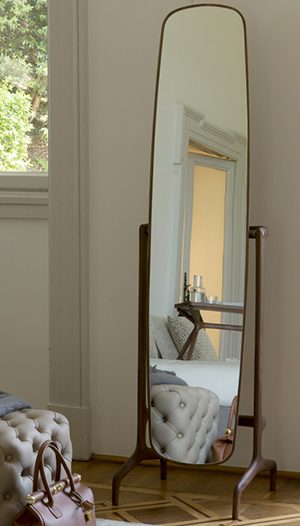 You’ll love our new arched Chiltern Full-Length Mirror, which looks stunning in any room.